This is one of the reasons that praying God’s Word has been so powerful in my own life. I have believed the enemy’s lies for too long. But, they would replay over and over in my mind and often I felt powerless to get them OUT of my mind. I soon realized that I had to REPLACE the lies with the TRUTH of God’s Word. Replacing those lies only came after intense reading, meditating, praying and memorizing of God’s Word. I couldn’t just glance at my Bible and hope to get those truths deep in my soul. 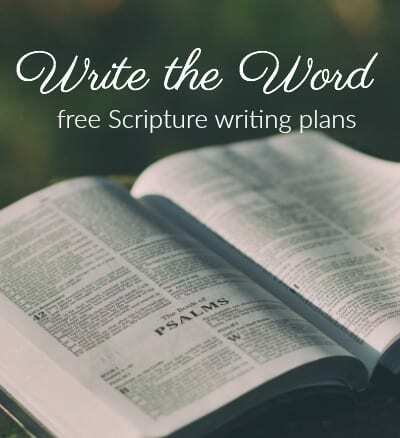 Recently I finished what might be my favorite Beth Moore Bible study ever. And that is saying quite a lot. Ahem. 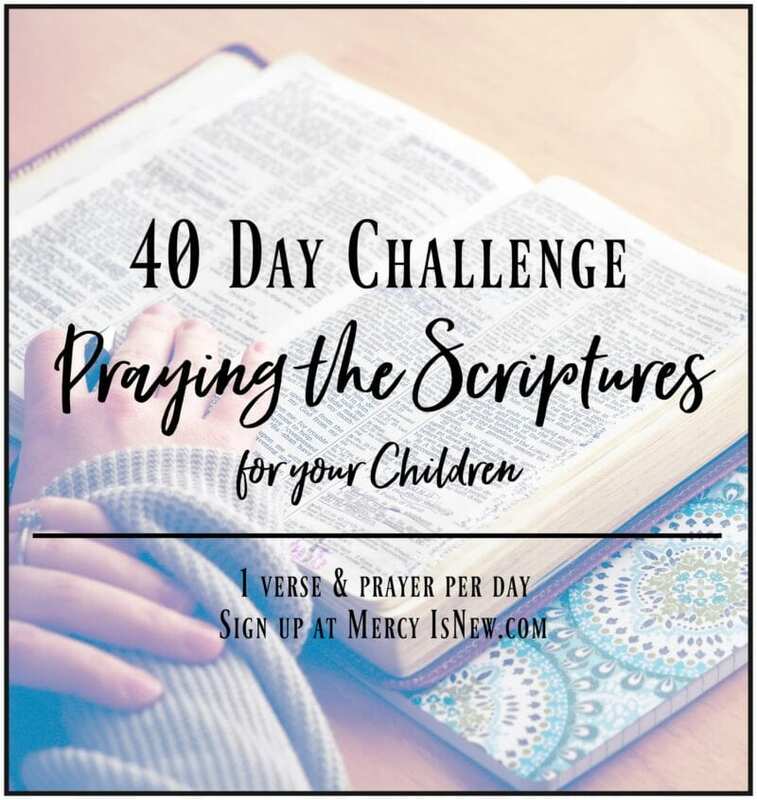 Y’all know that Praying the Scriptures has changed my prayer life dramatically. This Bible study really helped me to dig in to this topic even further! 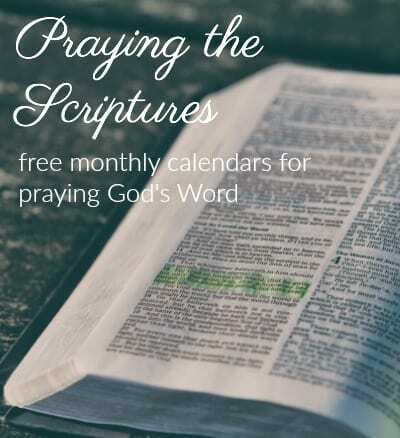 Living Free: Learning to Pray God’s Word is a 6 week study that I followed along with via the Lifeway Women Blog where they had weekly posts and video clips. The video clips were taken from Breaking Free. The last time I checked, the video clips and blog posts were still up here. Beth Moore states that praying the Word of God is one of the best ways to tear down strongholds in our lives. 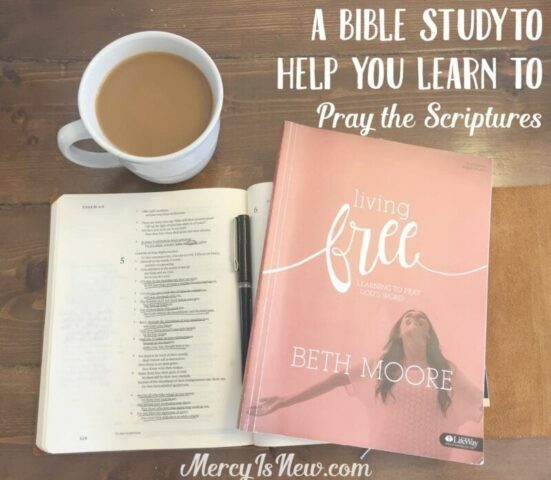 Beth Moore gives us 6 benefits or results of praying God’s Word that are outlined in this Bible Study. Those benefits or results are 1. Demolishing Strongholds 2. To Know God and Believe Him 3. To Glorify God 4. To Find Satisfaction in God 5. Experiencing God’s Peace and 6. Enjoying God’s Presence. I don’t know about you, but these are all things that I want a little bit more of in my life!